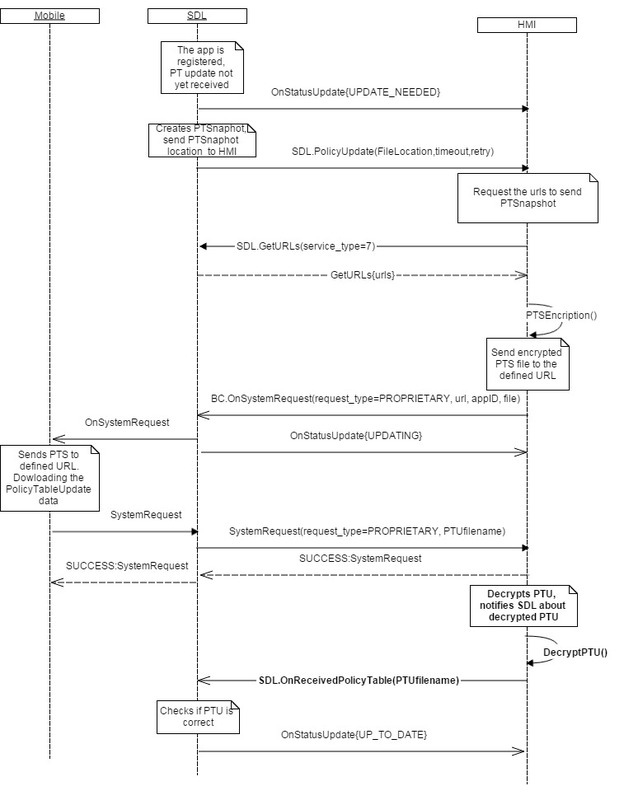 Send SDL.OnReceivedPolicyUpdate notification to SDL after HMI finalized processing the updated Policy Table delivered via BC.SystemRequest (for example, after decrypting it in case and by the scheme required by Policies Server). Decrypt the PTU file received via SystemRequest. Notify SDL on successful decryption and provide the path to decrypted PTU file. SDL expects SDL.OnReceivedPolicyUpdate only in case it's built with "-DEXTENDED_POLICY: PROPRIETARY" flag or without this flag and -DEXTENDED_POLICY: EXTERNAL_PROPRIETARY flag. 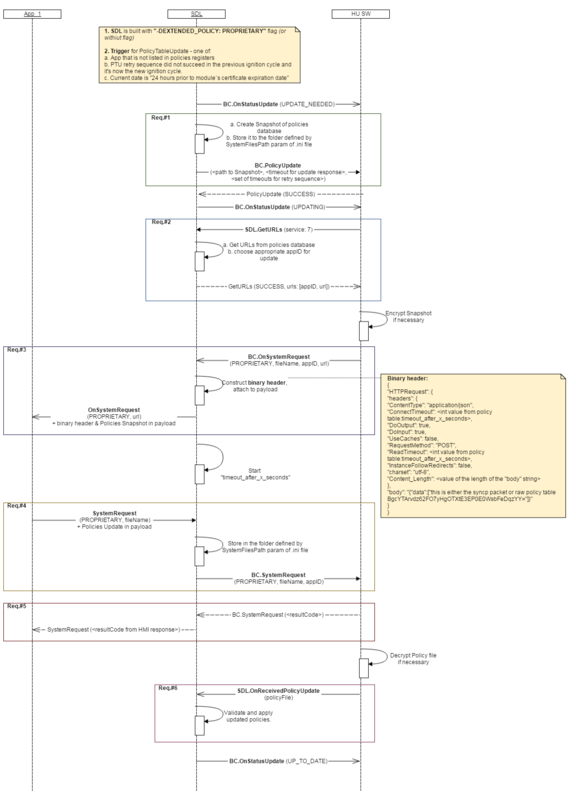 Otherwise SDL handles the entire PTU flow by itself. SDL will not use Updated PT until notified by HMI. validation must reject Policy Table update if it does not include fields with a status of ‘required’. In case section with required status "optional/omitted" is omitted in Updated PT, and field of this section is marked as required, the validation of the mentioned field is not "required" (i.e. policy table must be considered as valid).